Size: most are almost an inch in diameter and at least an inch long. Take Note: These are a softer type of gem. If you carry them in your pocket, they need to ride alone or they will get scratched and chipped. 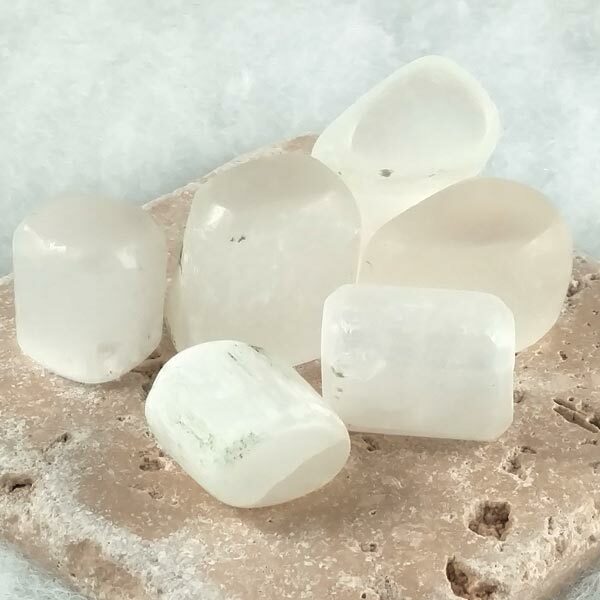 Selenite has been used to bring about awareness of unconscious assumptions and to promote the reconnection between the conscious self and the mystic self that lives in the super-consciousness. Opens, aligns and clears the aura bodies, opens energy blocks, fills the aura with light, transmits light and energy information and aids ascension. Provides protection, transforms and heals negativity and aids channeling. 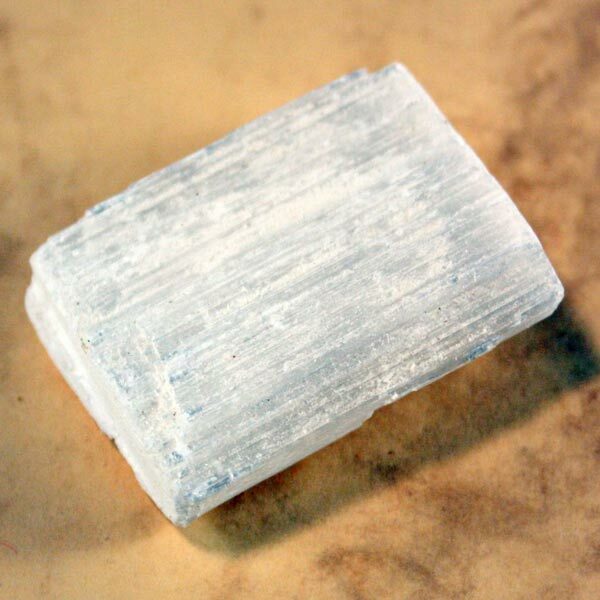 Selenite is in the Monclinic crystal system and is in the family of sulfates. This clear to white form of Gypsum has a pearly, luster finish. It can be easily scratched and will dissolve if left in water. Generally it is found in the cavities of limestone deposits. Massive beds of it are found in Utah and India, although the clearest varieties come from a large Sicilian sulfur mine in Italy. Like most gemstones, it is most beneficial when worn or laid upon the body. This one lends itself well to being used as a hand comforter during meditation, or just placed around your personal environment. I also keep a large log shaped piece of this one under my treatment table to enhance client sessions. Selenite may be used to provide flexibility and strength to your decisions. It allows you to see the inner workings of situations and to understand their meanings at the same time. Selenite can assist you on issues of judgement providing insight, and provides the energies to promote justice during disputes. Selenite has been used to bring about regeneration of the cellular structure and protective membranes which surround the cells providing a tool to both prevent and overcome damage from free radicals. It has also been said that it has been used to extend one's lifespan. Selenite has a special affinity with Taurus and Pisces, but as with all stones, it benefits all signs. Its Energy is Magnetic, Planets are the Moon and Venus, and Elements are Earth and Water. Named for Selene, an ancient Moon Goddess, it has been exchanged between lovers for reconciliation and has been used to lend energy to the body. Selenite has been highly prized in Russia and Egypt, and ancient Egyptians cut it into egg shaped ornaments that were used as symbols of fertility.